We work closely with the San Andreas Regional Center to provide services to adults with intellectual and developmental disabilities. Services we provide are paid for by the Regional Center and the Department of Rehabilitation. For those people who have funding from other sources, we will help you set up payment options independently. If you're new to the process or the area CLICK HERE for our Getting Started Checklist. Participants experience community acceptance and benefits that we all derive as full members of our communities, whether it is through volunteering, working or socializing. 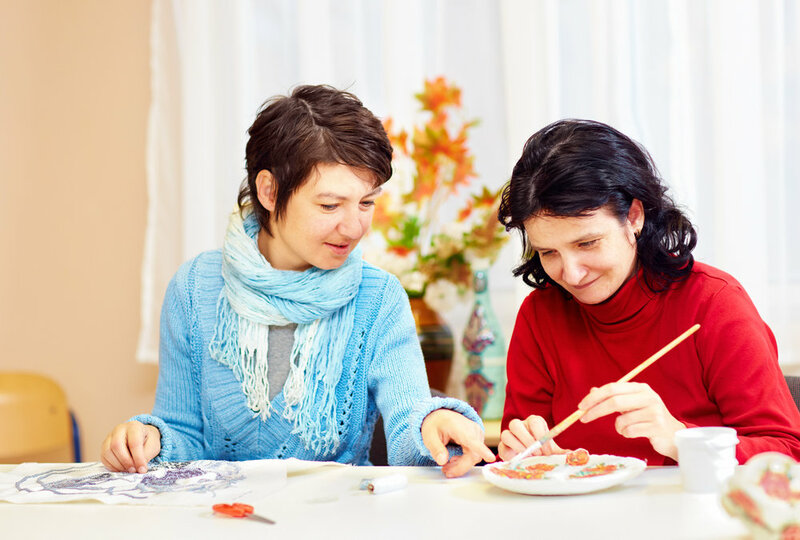 Participants enjoy living independent and self-sufficient lives. Participants experience the pride of accomplishment in pursuing their individual personal and professional goals. Angel’s dream is to be a sports writer and blogger. With the help of his Program Manager, Nicki, and his job coaches, Angel has been crafting stories about any and everything from his local youth soccer games, up to some of the biggest matches in UFC history, all so that he can hone his craft. Andy found a job, a community and most importantly . . . a purpose! Over the years at E&CO, Andy has held several jobs, including The Fish Market, Pizza Hut and at a few hotels. Andy has bonded deeply with a number of E&CO staff and clients. Even after his battle back from Meningitis cost him his hearing and most of his speech, Andy remained eager to attend program with his contagious smile and enthusiasm.